Unaddressed mold problems will worsen with time and wreak havoc on your property, leaving you with very costly repairs. Mold is infamous for causing a multitude of health problems and severely deteriorating property value. In addition, the water damage will lead to serious structural damage to the building. 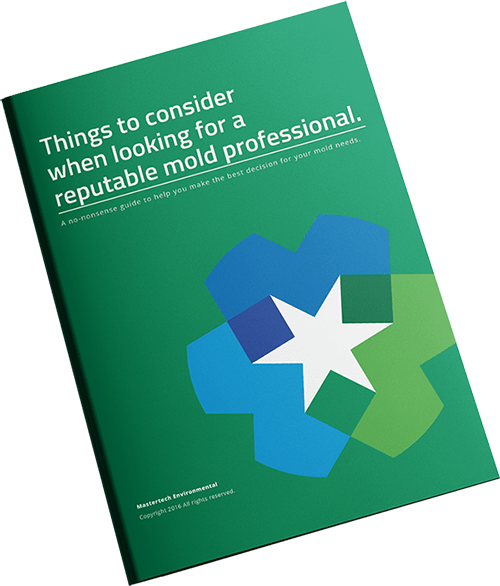 If you think you have discovered mold in your Franklin, NJ home or business, consider calling a professional mold company. A certified professional will be have all the necessary skills and tools to properly address all your mold concerns. If you are detecting signs of a mold contamination in your home or business, you should consider hiring a certified professional to conduct a mold inspection property. A comprehensive Franklin, NJ mold inspection, conducted by one of MasterTech’s certified inspectors will allow us to determine if you have mold, how bad it is, how to properly get rid of it and how to prevent it from returning. Our mold inspectors undergo extensive training to ensure they are fully qualified to properly handle and report on your mold issues. MasterTech mold inspectors are trained to use the safest tools and methods to conduct a comprehensive evaluation of your property for any and all mold development. The keys to mold remediation is identifying the water source, remedy the water problem, and implement preventative measures to avoid recurrence. During the MasterTech inspection process, your inspector will piece together all the information gathered to get a general idea of the moisture source. Then, during the mold remediation, our technicians will be able confirm the moisture source. With that information, our team will be able to provide you with all the appropriate recommendations to remedy the water problem and prevention future water problems. This step will ensure that your mold contamination is properly removed and will not develop again. When it comes to you and your family’s health and safety, fixing the mold problem is not enough. For us to be confident that you and your family will be returning to a safe home, we must diagnose and resolve all underlying causations to prevent recurrence. At MasterTech we always have you and your family’s safety and best interest in mind. It is very important to us that we provide the safest and most effective mold removal in Franklin, NJ. Our team of industry certified experts have made every effort strategically incorporate the safest and most up-to-date mold removal methods and equipment into our step-by-step mold removal and remediation process. 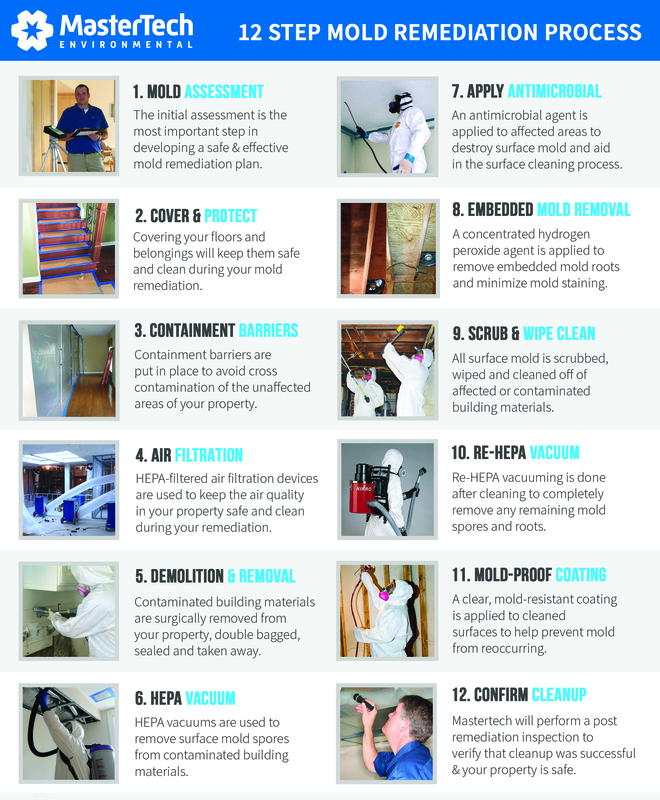 Our mold remediation is broken down into 12 detailed and strategic steps to ensure that your Franklin, NJ mold remediation is completed at the highest standard from start to finish. As proof of our commitment to doing the job right, we always complete post verification testing to confirm that the job just done correctly. We also back every mold remediation with a 5-year mold-free warranty. MasterTech Environmental is a family owned and operated, NJ mold removal company that specializes in environmentally services. We are one of New Jersey’s top rated Mold Damage Contractor for residential and commercial buildings. Do not let symptoms of a mold contamination in your New Jersey home stress you out. If you detect signs of mold growth, call us today for a Gloucester County, NJ mold inspection. For mold removal and mold inspection Monroe, NJ or mold inspection and mold removal Westville, NJ call 609-948-8844 to speak with a member of our team.